Anchor Hocking's Casserole Baking Dish is made of thick, heat-resistant glass which is oven, microwave and dishwasher safe. 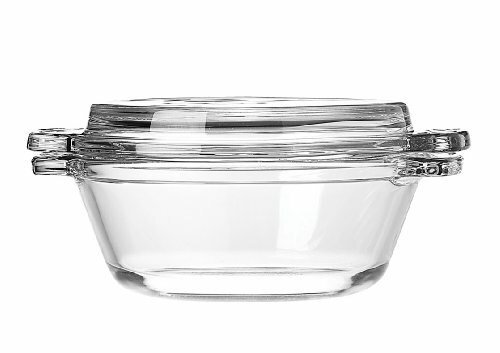 Includes glass lid for retaining heat and storing leftovers. This dish features a 20 ounce capacity and allows for even heating and easy cleaning. Ideal for baking, serving or storage. Made in the USA.